Browser wars has been going on for more than a decade now and yet, there are no signs of a let down by any parties involved. In fact, things are only hotting up with the big three competing tooth and nail to become the leader of the pack. But that's not the entire story. A host of niche players are also in the market which are equally good and sometimes even better. Here, we'll discuss 3 superb free and open source web browsers you've probably never heard about. 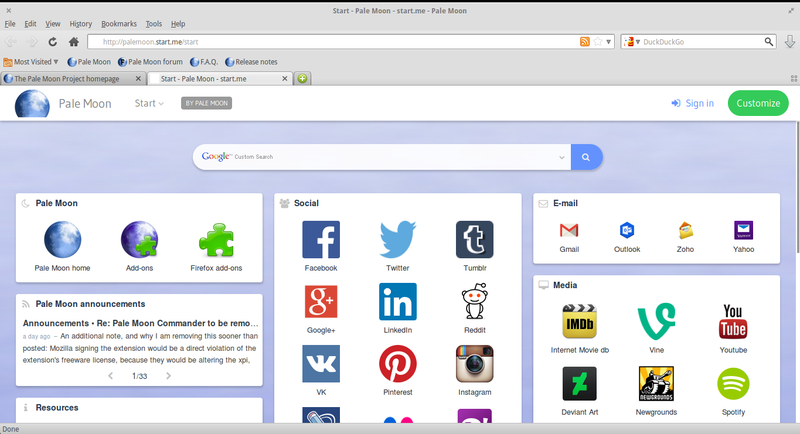 Slimjet: Slimjet is a web browser based on Blink engine. It is built on top of Chromium open source project and has been very fast and stable in my experience. Some salient features worth mentioning include the following: A full-featured form filler that replaces the basic password manager in Chrome, fully customisable toolbar, facebook integration, youtube video downloader (can also convert videos to mp3), and instant photo upload with automatic image compression. But its biggest feature is being NOT Google. It doesn't send any usage statistics to Google (like Chromium). Slimjet packages for Linux (DEB and RPM). Also available on Software Center. Palemoon: Palemoon on the other hand is based on Mozilla Firefox's Gecko engine. Palemoon claims to have a carefully selected set of features and optimizations to maximize the browser speed, stability and user experience. And it does all this without breaking any compatibility with your favorite Firefox extensions. Being a big Firefox fan, this is currently my preferred choice. Unlike Slimjet though, Palemoon is not available in Ubuntu repositories. If you're using Ubuntu 14.04, 14.10 or Ubuntu 12.04, you can use the following PPA to install Palemoon. Simply copy-paste the following commands in Terminal. But if you're using the latest Ubuntu 15.04 'Vivid Vervet' instead, you are out of luck and would've to use the generic download option. It's a simple script anyway. Just download, extract and run the script. Download Palemoon here. 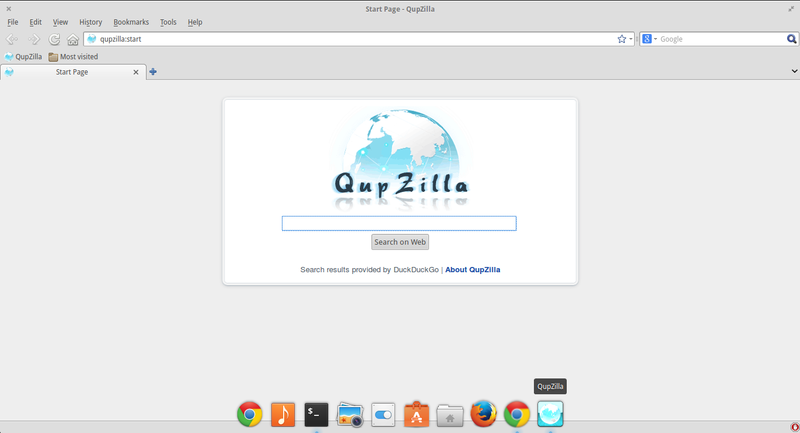 QupZilla: QupZilla is a free and open-source, cross-platform web browser based on Qt and Webkit. It has a simple but familiar interface with integrated AdBlock. Probably the least distinct among the ones featured here. Started out as a 'hobby' project which later became more mainstream and popular. A fun alternative nonetheless. Lots and lots of download options. Hope you enjoyed the list. Some of the more obvious ones we missed out here include Midori, Epiphany and Chromium. Then there's Vivaldi, a relative new-comer developed by former Opera team with many power-user friendly features. Thank you.